Intense drama, action-packed and a roller coaster of emotions to keep you engrossed in the story. When Becky and her BFF, Evie are faced with pirates while cruising around the Indian Ocean, Becky shows her capability, strength and intelligence. The training the members of Black Knights have been giving her come in handy and are necessary. The part that doesn't sit well with me and seem to go against character is the night before Frank/Boss has shoulder surgery. For years, Frank and Becky have been dancing around each other but, nothing happens between them because of the woman Frank frequently goes to see in Lincoln Park. Here's the part that gets tricky because I'm not a fan of unscrupled behavior. You learn of Frank's relationship with the woman, Shell and her 3 year old son, Franklin in Lincoln Park. Then, the night before his surgery, Becky makes a play for Frank and because he thinks he is going to die on the operating table he succumbs to his need to have her. This bothered me. I know it happens all the time and I'm being naive but, the justification that Frank and Becky (she can be a friend with benefits too) have for their night together is just wrong. I was so disappointed in them because they seem to have such great character and respect that this goes against the grain. But, alas, all is not what it seems - thank God. 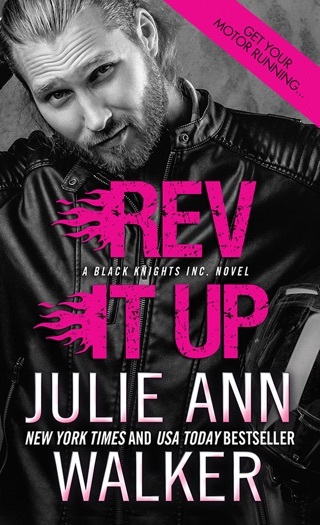 Overall, I really liked the book and am a fan of the Black Knights, Inc. series and characters. 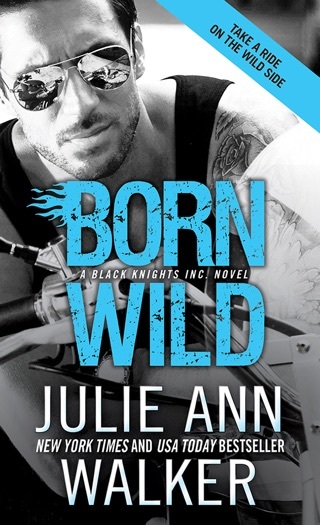 Can I just say I am loving the Black Knights series by Julie Ann Walker? The second book in the series, In Rides Trouble is tense and powerful and just freaking awesome. In this one, it isn't so much the action that I loved but the palpable chemistry and verbal sparring between Frank and Becky. We watched their strained interactions in Hell on Wheels and watching the two of them come to terms with their love for one another is just as explosive as you would expect. Frank, aka "Boss" is several years older than Becky and the leader of the Black Knights, but it's her shop that they use as their cover so there is already an interesting meshing of personalities. When we left the two of them in Hell on Wheels, Becky had wanted to become an operator with the rest of the crew but Frank was not having that (more so out of fear than his confidence in her abilities I suspect), so she up and left for some time away. Her time away ended up on a lovely boat with her best friend hijacked by pirates. Of course it was Frank and the Knights to her rescue. That was fun to watch. Aside from the exciting action of the rescue and other danger that lurkes throughout the story, I was all in when reading about Frank and Becky. I love their back and forth play. I think Becky's brother Bill said it best when he noticed their verbal sparring was a form of foreplay. That didn't go over well with Frank when it was brought to his attention. Bottom line is Frank doesn't think he can have Becky and she has no idea why. Eventually, we see Franks walls start to come down and his heart opening up to Becky. Or maybe he just can't resist her any longer? There are some twists and turns we get to ride out alongside Becky where Frank and his secrets are concerned. Walker does a fabulous job of stringing us along just enough to have us nuts but not enough to annoy us. I loved every minute of it. Finally when it happened, the passion between Frank and Becky was hot and wild and so perfect for the two of them. In Rides Trouble opened up with a very exciting plot - I mean who writes about modern day pirates? I really enjoy Walker's storytelling and the development of the characters in each of the books. The way the characters' stories overlap and are set up for the next book in the series really makes it hard to stop after each book. Which is probably why I haven't. If you are looking for an entertaining romantic suspense series to read give the Black Knights Inc series a try. While I think each book could be read as a stand alone, they are so much better in order. This was a good but. Loved each character. Can't wait to read the rest of the series.